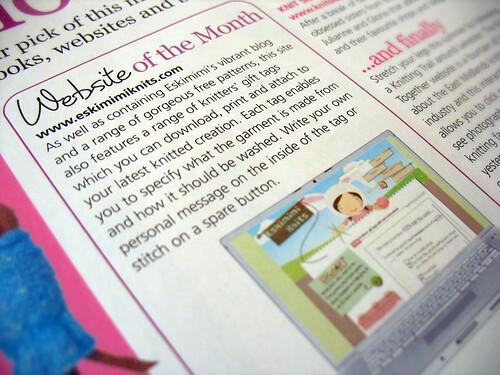 A thread was started on The Blog Hub group on Ravelry yesterday, congratulating me on Eskimimi Knits being the Website of the Month in the July 2010 issue of Let’s Knit. It was news to me (good news, of course) as I had absolutely no idea. I did wonder if the poster was perhaps mistaken, but no, there it is along with an accompanying picture. What a lovely thing to find out about so unexpectedly. If you happen to have popped by this site after reading about it in the magazine, please may I welcome you to my little website. If you have any questions just leave a comment or use the little contact Eskimimi web form and I’ll get back to you as soon as I can. 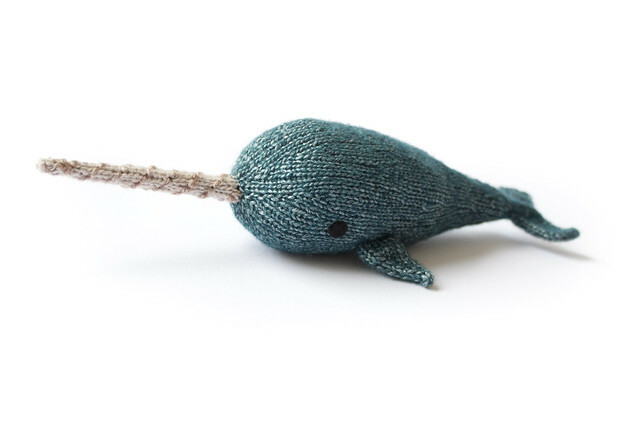 *Eskimimi Knits was the title and address of my old blog, which ended up being deleted from the internet at a time when I had no internet connection and couldn’t tend to it. I lost my content and my entire site. This post is one of many I am slowly trying to re-post from archived content on the Wayback machine. Please enjoy Eskimimi Makes as it’s newer, better reincarnation.